H3-Watchcorner is the one website to visit for all your Tritium watches. Authorized Dealer for KHS, NITE, Smith & Wesson, Swiss Military Watch, Traser, Uzi. At TritiumH3Watches.com, you will find the widest range of Tritium self-illuminating watches. Tritium watches are used by Special Operations Personnel and the Military. Experience these unique timepieces today. Apple Support sowie Hard- und Software Angebote in Essen und Umgebung. 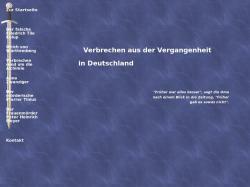 Administration und Netzwerk-Betreuung auch für heterogene Netze. 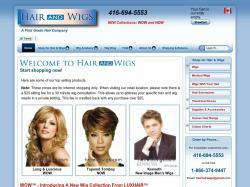 Hair and Wigs retail site, selling wigs, cuticle hair and cancer wig products. 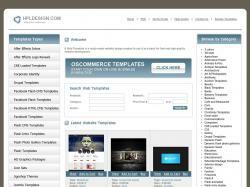 Hammered Down Tools is a website seeling discount priced tools from the manufacturer Draper. 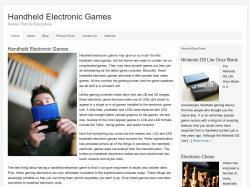 Great selection of handheld games such as electronic poker games deluxe crossword puzzle hand held bridge casino plug and play games and much more. 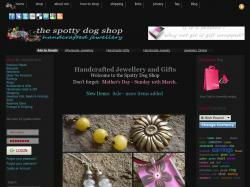 Handmade Jewellery and Gifts from The Spotty Dog ShopHandcrafted sterling silver jewellery, fashion jewellery and accessories. Express checkout and FREE UK delivery! The Carpet Depot is the largest rug store on the internet-Outdoor Area Rugs,Chinese Area Rugs,Antique Area Rugs,Traditional Area Rugs and much more. Online store selling hannah beauty products. Ein Shop in dem Bastelpackungen und Zubehör verkauft wird. Sämtliche Bastelpackungen - wie Teddys, Mäuse, Schweine - sind eigene Entwürfe. Hanoi Bike Rental is a brand name of Hanoi Bike JSC. We are professional company in bicycle rental service. Store located in Norway. 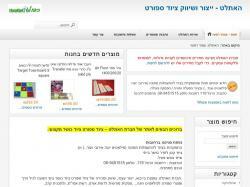 Helping other people making money on ecommerce, buy installing store for new clients.